JOIN THE SCERA VOLUNTEER FAMILY! GET FREE TICKETS TO MOVIES, PLAYS & CONCERTS! As a volunteer, one of the benefits is free tickets to events at SCERA Center for the Arts and SCERA Shell Outdoor Theatre! WHO CAN VOLUNTEER? There are fun year-round volunteer positions available for youth 12 and older, college students, adult, senior citizens and families! 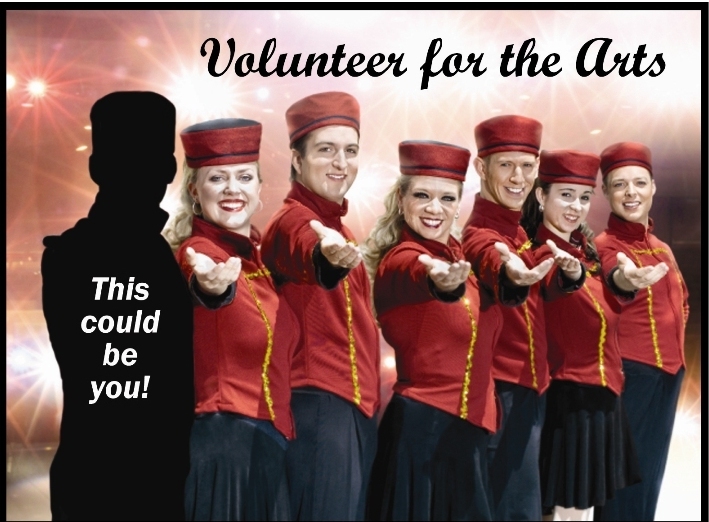 Share your time, talents and enthusiasm as part of SCERA’s Volunteer Family! WHAT DO VOLUNTEERS DO? Help us serve the public by selling and taking tickets, handing out programs, greeting and ushering, or selling concessions and merchandise. Most volunteers work one 2-4 hour shift a week.